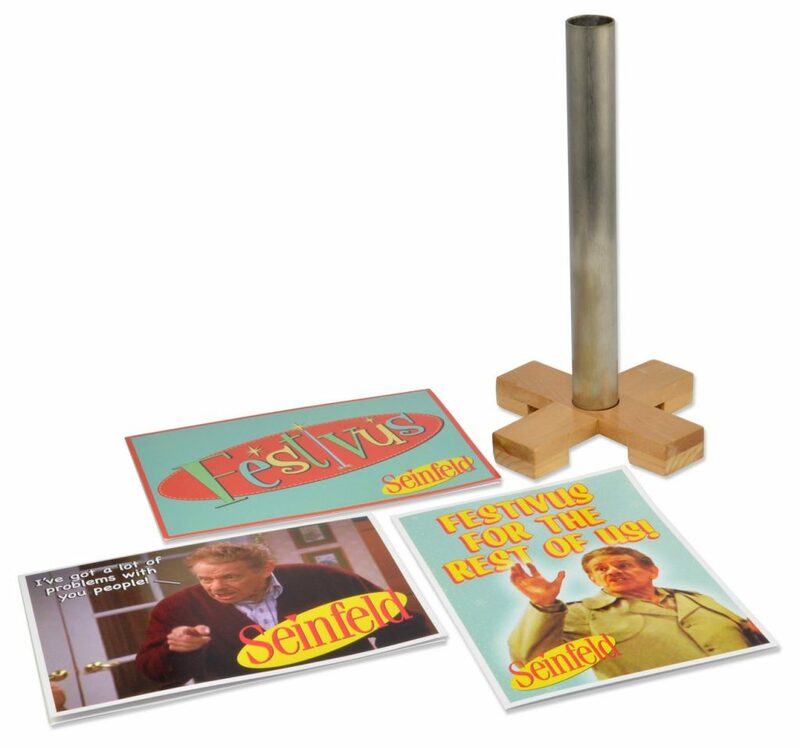 Celebrate in style with this Festivus Desktop Pole and Greeting Card Set from Seinfeld! 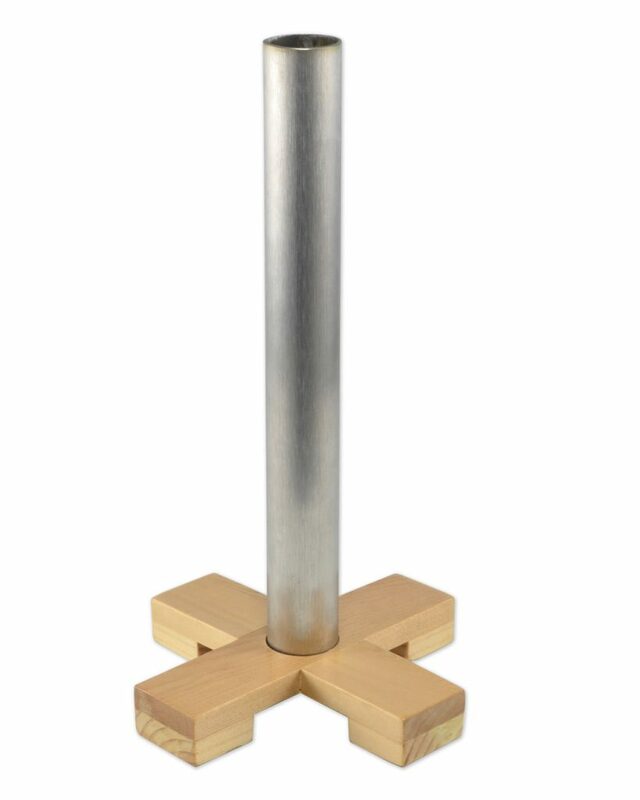 The 9″ desktop pole is made of unadorned aluminum (which enjoys a very high strength-to-weight ratio) on a simple wooden base. 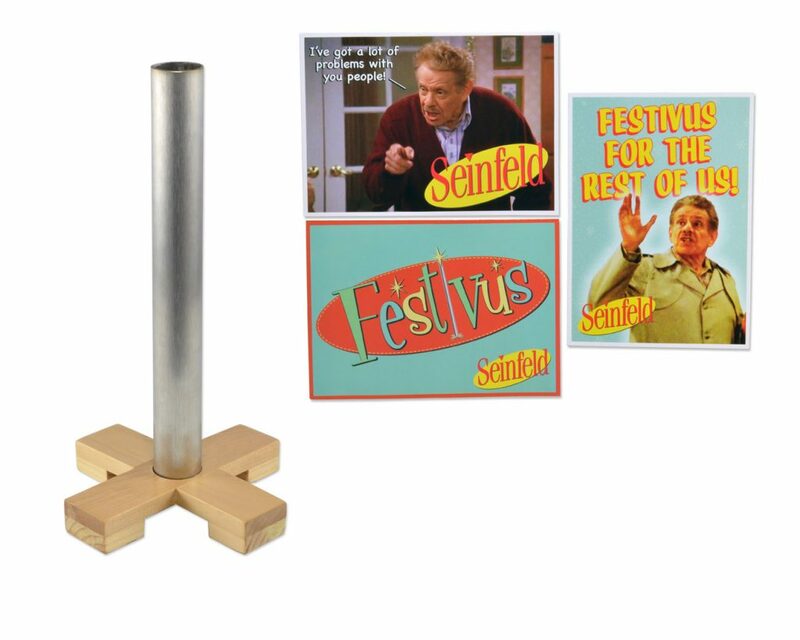 It comes with three 5×7″ greeting cards adorned with assorted Festivus imagery. The cards are blank inside, so you can write your own message of non-commercial celebration, or simply air your grievances by mail.